We build your online identity so that you can stand out of the crowd. Unless you have already recognized, your company’s website is unquestionably ‘the’ most significant marketing tool for your business. For businesses world over, the primary marketing concern remains attracting visitors who will eventually convert into paying, repeat customers. You website is the primary and most vital marketing asset that plays a crucial role in accomplishing this target as it wields the power of compelling visitors into making that final purchase decision. Why Website Redesign Is Essential For Your Business? Your website more often than not makes the crucial first impression among your target audience that is potential customers. Chances are high that you will miss out on potential leads with a possibility of converting into customers unless your business website is organized, informative, easy to navigate, and updated. All or most of the marketing activities, whether inbound or outbound, eventually direct people to the website. Hence, you must understand that your website is merely ‘not’ a brochure as it is an undeniable extension of your business values and objectives. When Does Your Website Call For An Overhaul? Change is in order if your website fails to align with the existing business strategy or does not effectively reflect the distinctiveness of your brand. When a website is not being able to generate sufficient traffic – and there is practically no limit of achieving quality traffic – it hampers in the process of successful lead generation. Lacking painless navigation experience and not being competently mobile responsive, your website ultimately contributes in missing out on web traffic and sales opportunities. Absence of compelling and original content and dearth of a Content Management System (CMS) also create confusion and unresponsiveness among potential customers. 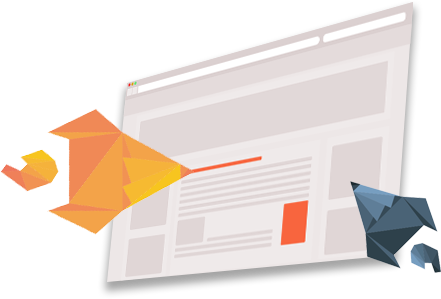 An ineffective website often results out of under-performing and disappointing web analytics. One and all of these varied issues can be efficiently addressed by state-of-the-art, creative, and innovative website redo. If your website calls for attention and a much-needed shot in the arm, it is time for a complete overhaul and redesign to ensure maximum impact with minimal effort. Website revamp provides an array of tangible benefits to a business and it definitely does wonders for your business more than you think. – A great website with valuable and consistently updated Search Engine Optimized (SEO) content helps you get noticed by major search engines like Google, Bing, Yahoo! which are increasingly focusing on quality content with complex algorithms to analyze and filter out impostors. Website renovation can help in increasing the search engine friendliness of your business website. – With mobile web usage virtually outweighing PC usage, it has become crucial for your business to establish, develop, and broadcast mobile representation with a responsive website. Implementation of responsive web design as part of your website remodeling plan can add to your customers convenience and ease of browsing from different platforms including desktops, tablets, and mobile phones. – A re-arranged, redesigned, and simplified website is key to attract visitors and create enthusiastic customers out of them. Website redesign can effectively improve your User Experience (UX) by eliminating all baffling visual clutter. By giving your visitors a clear pathway to click, order, buy, and contact you – you are actually encouraging them to stay with you instead of driving them to any of your competitors. – Presence of fully optimized content with a remarkable pay-per-click (PPC) campaign focusing on selected keywords can leverage your business in a competitive web market. It targets a demographic that has already been searching for what you are offering. – When a targeted, strategic, and customized website represents your business effectively, it creates enduring trust among your customers. And happy customers lead to increased sales and revenue generation in the long run. Revamping a website is a marketing investment that necessitates requires considerable investment of budget, time, resources, and energy. Unless you have valid reasons to invest in this overhaul, undertaking website revamp, just for the sake of it, is pointless. Absence of an overall positioning and messaging strategy can adversely affect the process of execution for website remodeling. Website rebuilding, from both cost and time perspective, needs defined goals to avoid needless delay in the project. Website modernization goes beyond the prevalent concept of simply making a website look different. It is a tool that helps your business achieve what it aspires to be. At Singsys, we will help you to do just that. 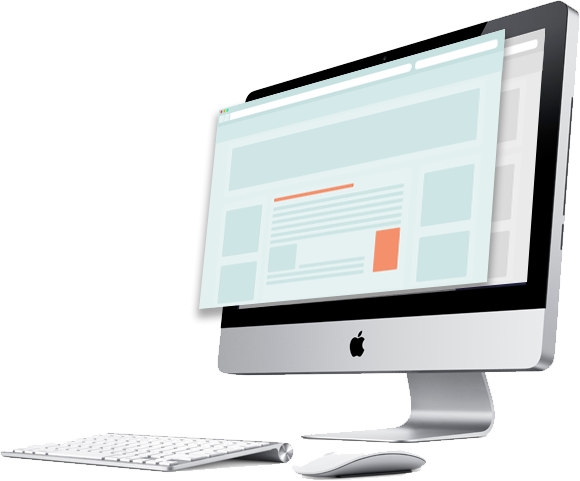 We provide customized, effective, and measurable website redesign solutions to businesses of different sizes and profiles across diverse industry verticals. Get Quote today to know more about our website redesigning services and what results it can achieve for your business.